Figuring out how much insurance you need and what kind can be a daunting prospect. 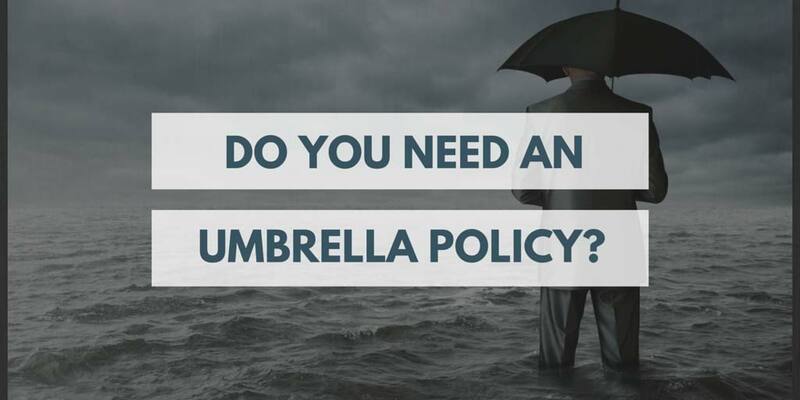 If you’ve ever bought homeowners insurance, you may have been asked if you’d like an umbrella policy as part of your insurance coverage. In order to get the best possible coverage and to protect yourself from any unforeseen circumstances that may not be covered under an normal policy, it may be necessary to add extra liability coverage in the form of an umbrella insurance policy, to your auto and homeowners insurance policies to protect you and your family. It’s impossible to tell if, when and whom you will injure in the future, whether through a car accident or some other scenario. Just think of this possible example: You injure a professional athlete, CEO, or doctor. Perhaps they can’t work for 10 years due to their injuries. You would be responsible for paying their lost wages, medical bills and compensation for pain and suffering, with lost wages alone starting at $3 million and running up from there, says Bankrate. It’s better to buy an umbrella policy now, with at least $1 million in coverage, than be left holding the bag later. If and when something does happen and you don’t have an umbrella policy, it will be too late to add one. If you’re concerned about losing income and assets over a potential lawsuit, you need an umbrella policy. Considered a wise purchase in the insurance industry, this is one of those things that isn’t very exciting to buy initially like a new car or vacation, but it gives you immeasurable peace of mind knowing if you had to use it, it’s there and it will protect you. Plan on paying between $150 and $200 for the first $1 million of coverage, then about $100 for each $1 million you add on. Want to learn more about umbrella insurance policies? Contact us today to speak with a representative and learn how it can benefit you!